The Juvederm Voluma XC injectable Gel from the Allergan Juvederm family of fillers is an amazing product that gives us an immediate cheek lift with minimal down time. The Voluma Injectable Gel can last up to 2 years and is a great addition to the Juvederm XC filler. It is FDA-approved and immediately adds volume to the cheek area. It is a great option to help you restore and rejuvenate. 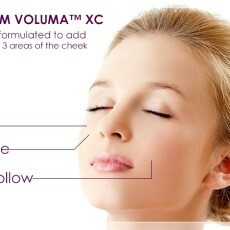 How is the Juvederm Voluma XC different than the Juvederm XC? Voluma XC lasts up to 2 years and works on other areas of the face, while Juvederm XC does a great job at smoothing fine lines, wrinkles and works on folds around the nose and mouth. 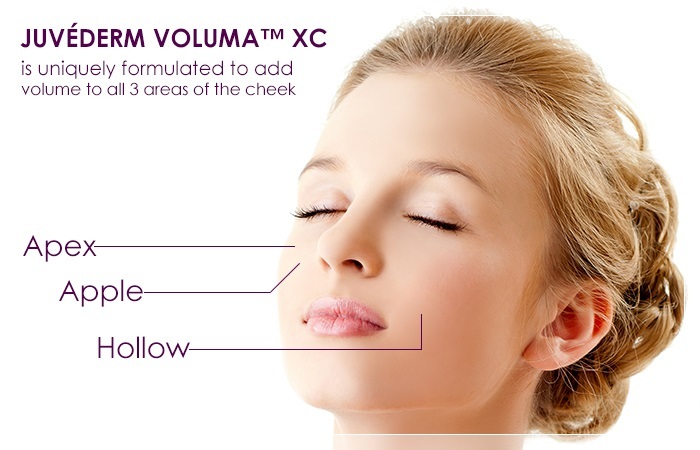 The Juvederm Voluma XC adds volume to the cheeks for an instant lift. You may feel a subtle pain during the injection; this all depends on the tolerance level of each patient. The new innovations allow for an anesthetic to numb the area during the injection, so the pain is kept at a minimum. Although there is no downtime due to recovery from the procedure, your provider may ask you to refrain from doing certain activities and resume your normal activities after 24 hours. What else do I need to know about the Juvederm Voluma XC? Minimal side effects and can last two to four weeks. Some of the most common are allergic reactions, or a temporary bruising, swelling or lumpy firm areas at the site of the injection. Some may experience redness, a minor discoloration and itching. If you’ve considered adding a quick lift to your cheeks and have been weighing all the options, it’s best to find a Juvederm cosmetic provider in your area to discuss all your goals and concerns.